Here is a nice NFL deal. 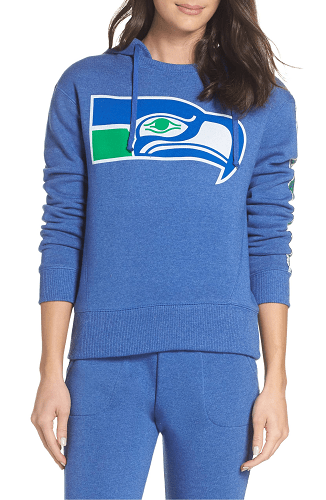 Nordstrom is offering this Seahawks NFL Hoodie for $38.98! That is down from the normal price of $65, for a 40% savings. Plus it will ship for free, as all orders from Nordstrom.com do. They do also have other teams too. Kick off your lazy Sunday cheering for your team from the comfort of the couch in this slightly cropped hoodie.